NEW YORK TIMES BESTSELLER NAMED ONE OF THE BEST BOOKS OF THE YEAR BY SAN FRANCISCO CHRONICLE ANDTHE HUFFINGTON POST For fans of Jennifer Egan, Jonathan Franzen, Lorrie Moore, and Curtis Sittenfeld, Among the Ten Thousand Things is a dazzling first novel, a portrait of an American family on the cusp of irrevocable change, and a startlingly original story of love and time lost. Jack Shanley is a well-known New York artist, charming and vain, who doesn t mean to plunge his family into crisis. His wife, Deb, gladly left behind a difficult career as a dancer to raise the two children she adores. In the ensuing years, she has mostly avoided coming face-to-face with the weaknesses of the man she married. But then an anonymously sent package arrives in the mail: a cardboard box containing sheaves of printed emails chronicling Jack's secret life. The package is addressed to Deb, but it's delivered into the wrong hands: her children's. With this vertiginous opening begins a debut that is by turns funny, wise, and indescribably moving. As the Shanleys spin apart into separate orbits, leaving New York in an attempt to regain their bearings, fifteen-year-old Simon feels the allure of adult freedoms for the first time, while eleven-year-old Kay wanders precariously into a grown-up world she can t possibly understand. 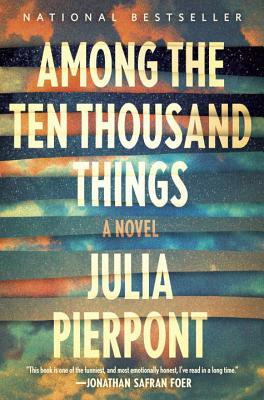 Writing with extraordinary precision, humor, and beauty, Julia Pierpont has crafted a timeless, hugely enjoyable novel about the bonds of family life their brittleness, and their resilience. Julia Pierpont is a graduate of the NYU Creative Writing Program, where she received the Rona Jaffe Foundation Graduate Fellowship, as well as the Stein Fellowship. She lives in New York City.